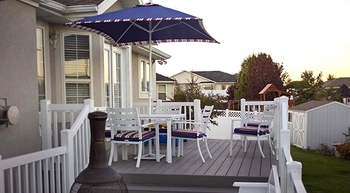 We are the professional China vinyl fence manufacturer & supplier, but also known as some of the most reputable Utah deck builders as well. 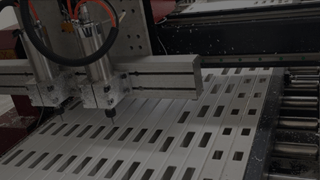 We pride ourselves in our strong, durable product, quality installation services and exceptional warranties. We are specialized in producing various kinds of Vinyl fence, like Privacy fence, Semi-Privacy fence, horse ranch fence, picket fence etc., widely decorated using in house, road, yard, school, horse race. For one section of our fence, 36", 48", 60" or 72" is selected as normal height of fence, for higher we have 86" or 96"height; 6' or 8' is selected as normal wide of fence. The customized for different size of fence is also welcomed. We have many different kinds and colors of Vinyl Railings, which are widely used in terrace, corridor, plywood etc. Vinyl Railing can be collocated with metal pickets or glass pickets, they are seamless connected and strong assembled that can meet all requirements from different customers. The customers can completely design the style that they want. Like Planter box, small fence, sign post, outdoor PVC toilet booth etc., with features in Environmental-friendly, easy assembly, beautiful appearance, long lifetime use. With our products, you can use your unlimited creativity ideas to decorate your garden. which can be assembled the different kinds of Vinyl fence. So if you are good at assembling a fence, you only need to buy the components you want and DIY. can be rest assured working with us. What do you need to know about vinyl lattice fences? What is a lattice? A lattice fence is a structure made of wood, vinyl or other material, which is composed of thin strips arranged in a crisscross or diamond pattern with a space therebetween. It can be used to close the entire perimeter of the property, such as garden walls, patio screens, balcony railings, arches, deck skirts or as separate dividers. It is also often added as a decorative feature of the landscape or as a garden lattice, allowing vines and other trailing plants to climb as they grow. How to cut your vinyl lattice fence? Vinyl fences are decorative materials that many families use today, especially for their own gardens or gardens. They not only protect their privacy to a certain extent, but more importantly, they can greatly enhance and decorate. . But the vinyl lattice fence may not exactly match the size or style you want. You want to make a vinyl lattice fence that fits your garden. So at the most basic, you need to know how to cut the vinyl plaid. The ability to follow-up work is smoother, and ultimately the vinyl lattice fence achieves the effect you want. What are the garden accents? Are you looking for some suitable accents for your garden? I think you must want a beautiful and low maintenance accent to add beauty to your garden. I think the accent of vinyl is your best choice. We offer a variety of styles and sizes vinyl garden accents, whether you want to build a beautiful garden fence or put some planter boxes in your garden, we can help you. 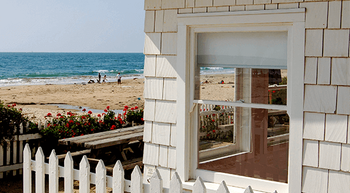 What are the benefits and styles of vinyl picket fences? Which one is your garden fence used? 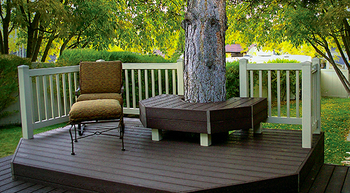 If you want a rustic decor and want to pursue a comfortable and comfortable life, our vinyl fence is perfect for you. 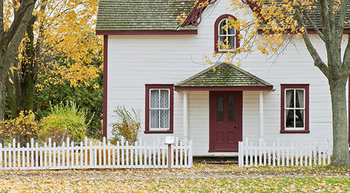 You should know that vinyl picket fences have many benefits.